So you want to experience the great outdoors, nature’s tranquility, and maybe even a bit of camping, but you don’t like “roughing it”? Maybe the thought of sleeping on the ground in a tent is not your cup of hot chocolate? Do you like to sleep with four walls and a roof around you? Not to worry, we have you covered! 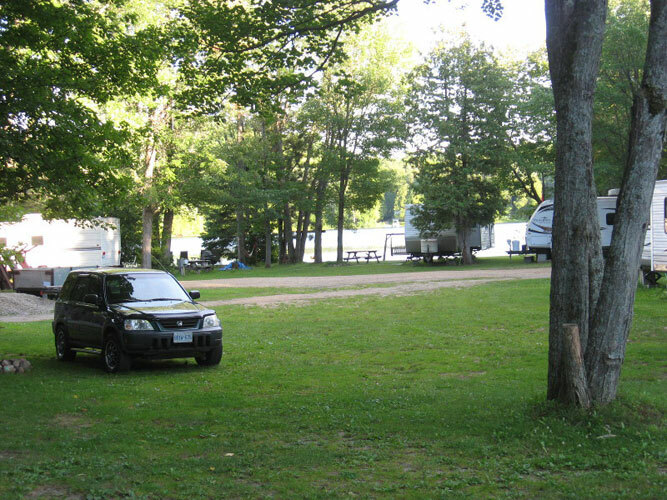 At Bon Echo Family Campground, we offer private, cozy, rustic camper-trailers for your use. 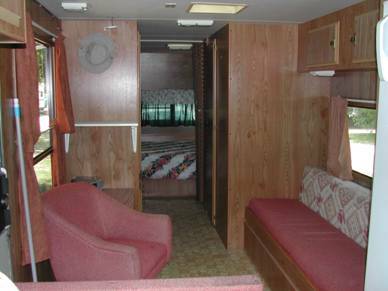 If you are looking for a 5-star hotel room, these campers are not for you as they are vintage 1970s & 80s wood paneling with basic facilities. However they remain one of the most popular offerings of our campground and are in hot demand! Fully equipped with electricity and water, all you have to do is show up with your own pillows, linen, and towels, and you’re good to go. The camper-trailers sit up off the cold ground and have curtains for your privacy. While the washrooms within the camper-trailers have been disabled, modern washroom facilities are just steps away and include flush toilets, urinals, sinks, mirrors, and hot showers. For cooking, you can use the in-trailer stove, exterior fire pit, or BBQ. We’ll provide the pots, utensils, and BBQ. Alternatively, there are numerous restaurants within 5 minutes drive of the campground if outdoor cooking is not for you. Pets and smoking are not allowed inside rented trailers due to possible allergies of other renters. Click on a photo to enlarge. Once you have enlarged one photo, you may use the slide show feature to scroll back and forth through all the photos (or press N for Next photo, or P for Previous). You may also hover your mouse to the left or right side of the photo for the PREV and NEXT buttons to appear. Press X or click the close button on the bottom to stop the slideshow at anytime. 29 feet, sleeps 2 adults & 3 young children. Kitchen, stove, fridge, microwave, BBQ, double sink, relaxation area with sofa, private bedroom with double bed, private washroom (toilet disabled) with sink & vanity. Includes FREE 2 hrs watercraft rental (canoe, pedal boat, kayak). 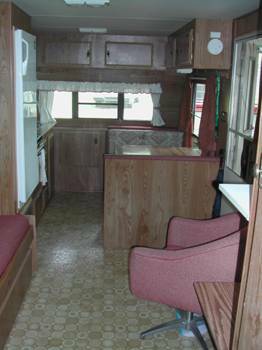 29 feet, sleeps 2 adults & 2/ 3 children, pop out living area, A/C, heater, kitchen, dining table, stove, microwave, fridge, water, electricity, BBQ (propane supplied), picnic table, fire pit, 2 lawn chairs. Includes FREE 2 hrs watercraft rental (canoe, pedal boat, kayak). 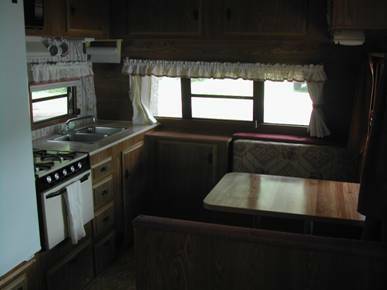 30 feet, sleeps 4 adults & 2 young children. Kitchen, stove, fridge, microwave, BBQ, relaxation area with sofa, reading chair, private bedroom with double bed, bunk beds, private washroom (toilet disabled) with sink & vanity. Includes FREE 2 hrs watercraft rental (canoe, pedal boat, kayak). No strong cooking odours e.g. fish, curries, etc. (outdoor BBQ supplied). Minimum 2 night stay. 3 nights on long weekends. 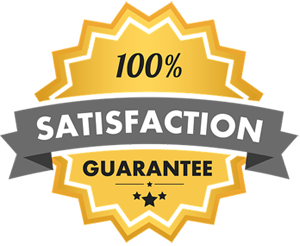 Rates are based on a family unit (2 adults & 2 children under 14). $12/person/night for any additional persons over 13 of age.